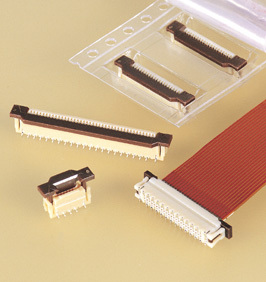 Top entry type 0.5mm pitch FPC connector. Solder tails are of a staggered design. *Both normal and reverse types are available so taht the designer can choose the FPC direction at his option.